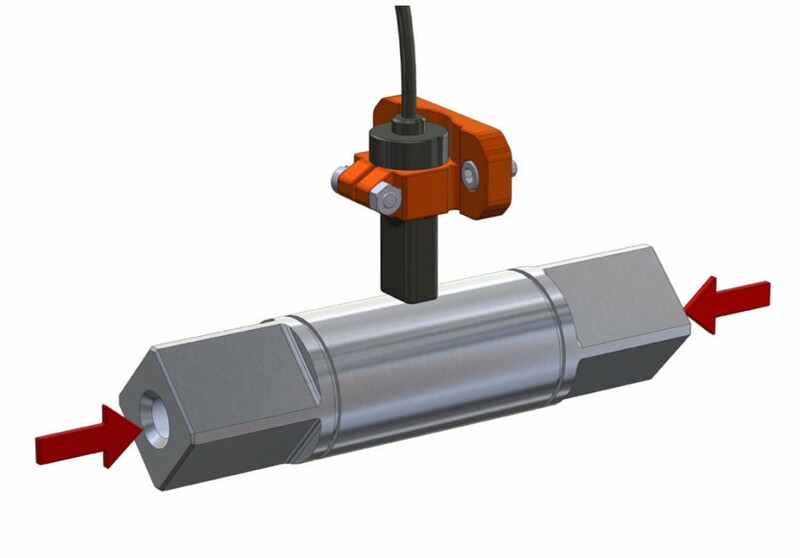 Based on Active magnetic principles, the true noncontact sensing technology accurately measures the axial load forces (pushing and pulling) applied to a beam, or shaft, like in industrial structures, mining- and tunnelling equipment, suspension shafts, and power tool drilling / chiselling shafts. Simply place the sensor module nearest to the location where the measurements should be taken from, or for higher measurement precision clip the sensing module onto the test-object. The measurements will start immediately after the sensor is powered-up. No shaft treatment-processes of any kind are required and nothing needs to be attached or glued to the test-shaft. The Active axial-load sensor device can measure immediately when placed to any object that has magnetic properties (which is easy to test by holding a permanent magnet to the test object). The sensor can be applied to an object of any diameter or dimensions. The test object (where the measurement has to be taken from) can remain static (as part of a structure) or can rotate (like a symmetrically shaped drilling shaft) at almost any speed. Some of the outstanding and novel features of this Active sensing technology are: that the sensing performance will not age, that it can be applied to solid shafts or tubes, that it can measure through layers of paint, and that the physical dimension of the sensing module is very small. It is also allowable that the test-object can be covered by a layer of Chrome. The Active axial load sensor is insensitive to: humidity, splashing water, oil vapour, non-corrosive oil, dust, rust (limits apply), and physical upset of the test object (mechanical shocks or vibrations). The sensor’s signal output can be either a linear voltage (from 0 Volt to +5 Volt) or of a serial digital format. Where space is critical, the sensor electronics can be placed elsewhere so that only the small-sized sensor-head needs to face the test object.